As a way of expressing our gratitude, for any gift of US$25 (or CAN$25, or €25) or more, we will send you the books Steps to Christ (see below) and Coming! One World Church. Or take a look at our complete library: almost 150 books are available! This amazing book examines the five key teachings the pope says must be resolved before Catholic, Protestant, and Orthodox churches can unite. 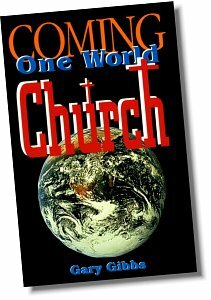 Current events clearly indicate that a united world church is coming very soon, fulfilling Bible prophecies on the last days!